Join me for, what I think, will be a very interesting film about art and history. See description below. I have already bought my ticket, and if you want to join please buy your own ticket at Protected content , at venue or online. The tickets are sold out quickly. Hope to see you there. Maybe we decide on a coffee after. Film: 90 minutes. English (Swedish subtitles). The documentary is a story about an exceptional time in Viena's history and a magic moment in time for art, literature and music. Freud makes discoveries about the psyche and women start to claim independence. 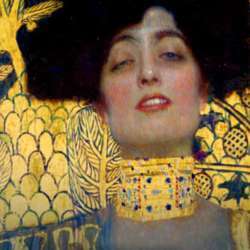 The two ikon artists, Klimt and Schiele were formed and influenced by this golden age, the beginning of Protected content . We get to know them, their life and their work. The film shows five amazing exhibitions. Vienna Protected content . Klimt – Moser – Gerstl – Kokoschka (Leopold Museum), Egon Schiele. The Jubilee Show (Leopold Museum), Gustav Klimt (Leopold Museum), Beyond Klimt. New Horizons in Central Europe (Belvedere Museum) and Stairway to Klimt. Eye to Eye with Klimt & Nuda Veritas (Kunsthistorisches Museum), as well as Klimt's studio, Staatsoper, Egon Schiele's' home town Neulengbach, Klimts frequent travels to Ravenna och Neue Gallerie in New York.